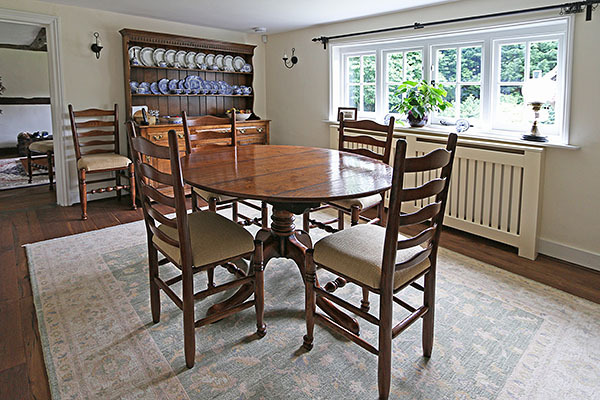 Our round extendable oak pedestal table and ash upholstered seat ladderback chairs, pictured here in the dining room of our clients Sussex farmhouse. It's worth noting here that the table and chairs are from each of our two bespoke ranges and of different woods, yet they have been coloured and finished to match perfectly together. 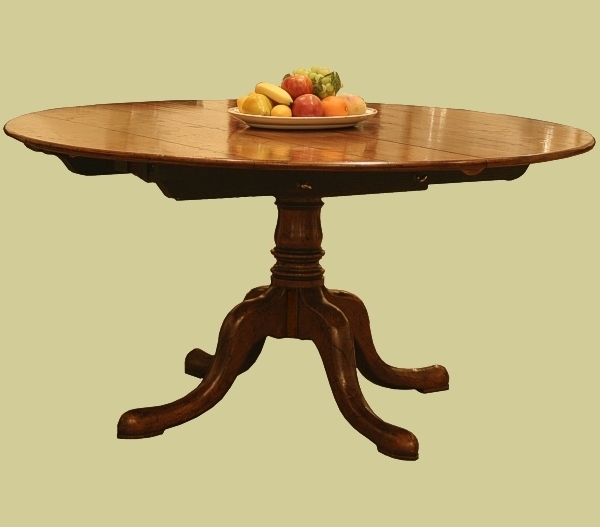 To see the table extended, with additional seating, click: Extended pedestal table & ladderback chairs in farmhouse.